personalized gifts | ARTZCOOL'S BLOG! One more custom designed stuffed animal! 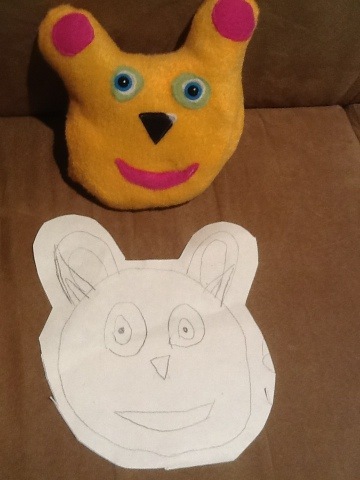 Here is another stuffed animal the kids and I made. Dylan and Sam designed and cut it out together as a gift for a friend! We made it following the same steps in one of my previous posts a couple weeks ago!